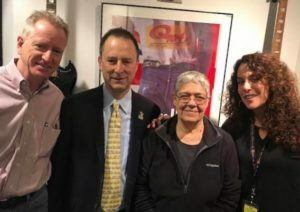 Michael Barasch was invited to appear on the Shelli Sonstein radio show on January 21st. He was interviewed with Lee Clarke, Special Assistant to the President of Local 1549 of District Council 37 (DC-37). They discussed the need for residents, local workers and responders to register with the WTC Health Program and Victim Compensation Fund, if they are certified with a 9/11 illness.